The Dreambaits Red&Spicy Boilies have already proven to be extremely effective. These readymades can be used your-round for instant fishing and baiting campaigns. 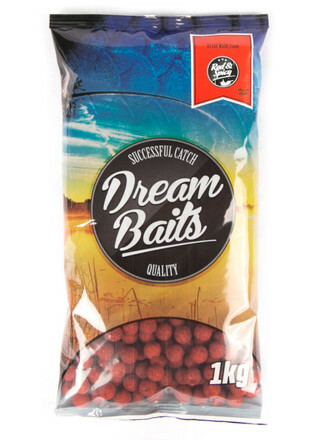 The boilies have a spicy/fish taste and feature Robin Red and Spice/Garlic flavours with essential oils.